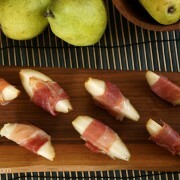 These prosciutto-wrapped pears make an impressive-looking hors d’oeuvre. 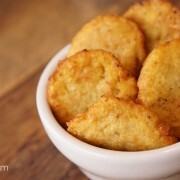 They’re a fancy but filling snack, and they’re pretty easy to make. Though I do miss spicy jerky, this variety was actually pretty tasty. 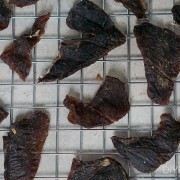 The garlic and ginger gave some fake spiciness to the meat, and the rest of the ingredients held their flavor well after 8 hours in the dehydrator. Plantains are incredibly versatile and can be prepared lots of different ways without tasting the same. They don’t taste much like bananas at all.